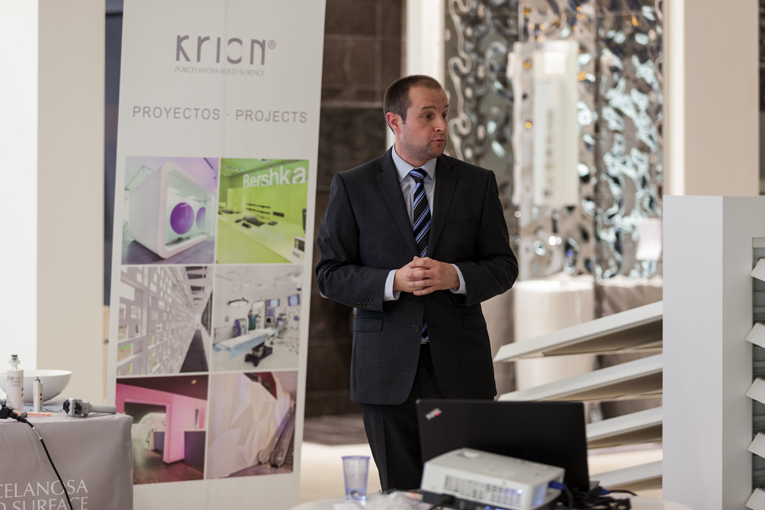 The properties and advantages of Krion® continue to surprise architecture and interior design professionals around the world. 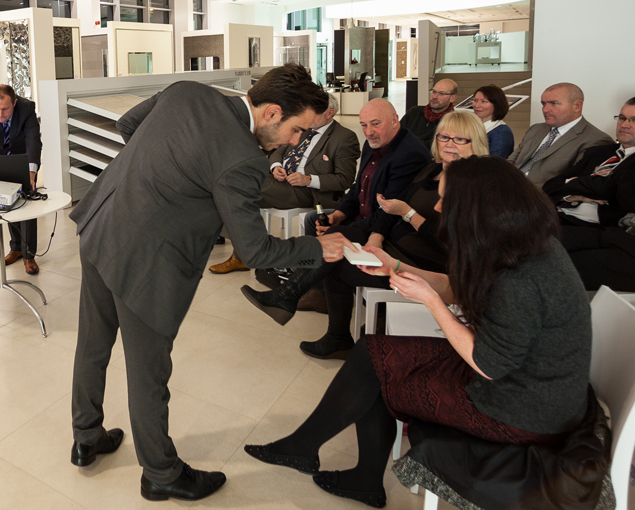 This time it was via an informative conference held at the PORCELANOSA Group headquarters in Glasgow (Scotland), located in the Braehead area. The advanced, next generation material holds a prominent position in this recently refurbished showroom. 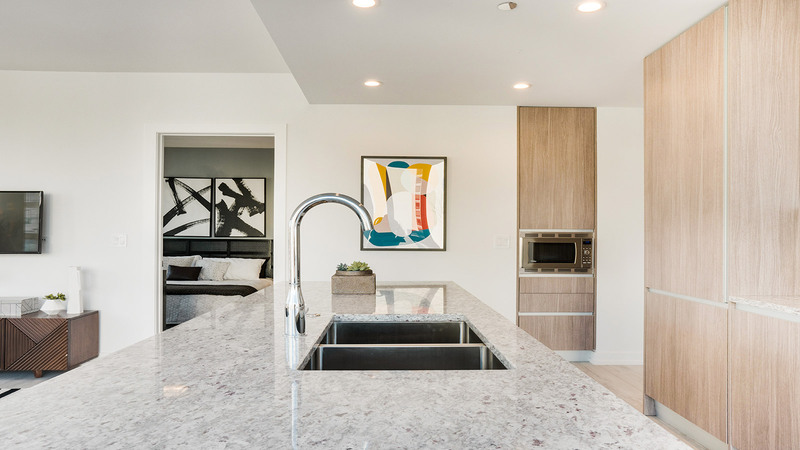 The solid surface by Systempool can be found throughout the store, for example, in the numerous Krion® counters, including the reception counter which is backlit with the company name and surrounded by a spectacular mural showing the main city sights. 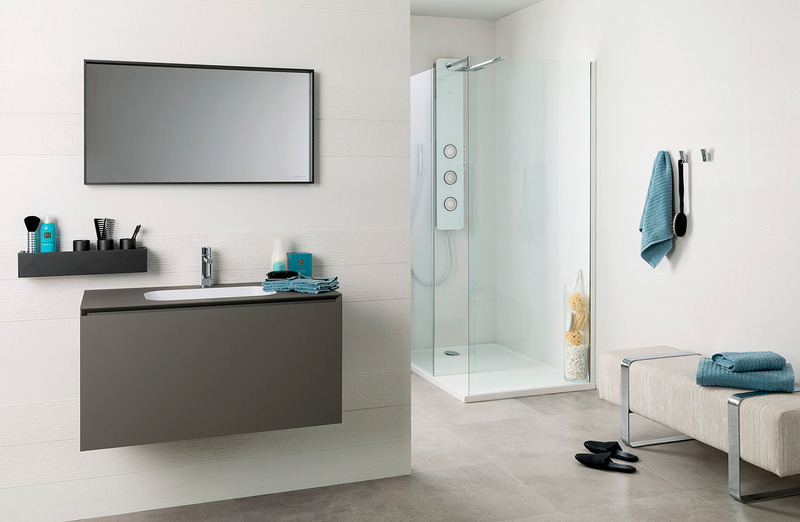 The interior design of the technical area, created especially for professionals, also features this versatile material where its use takes on particular importance. 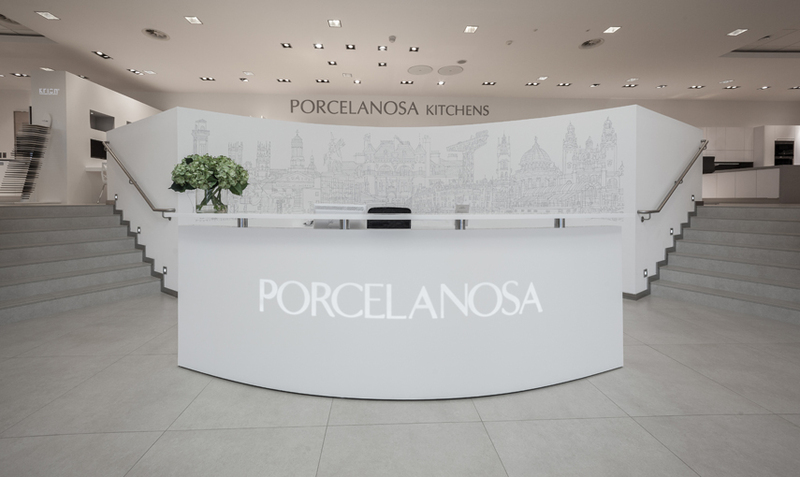 During the course of the day, PORCELANOSA Group technicians, experts in Krion®, gave a presentation on the properties and uses of the solid surface by Systempool to a large group of 50 professionals, including representatives from prestigious local architecture studios and constructors, contractors and designers who sought to discover new options that will permit them to create their designs. 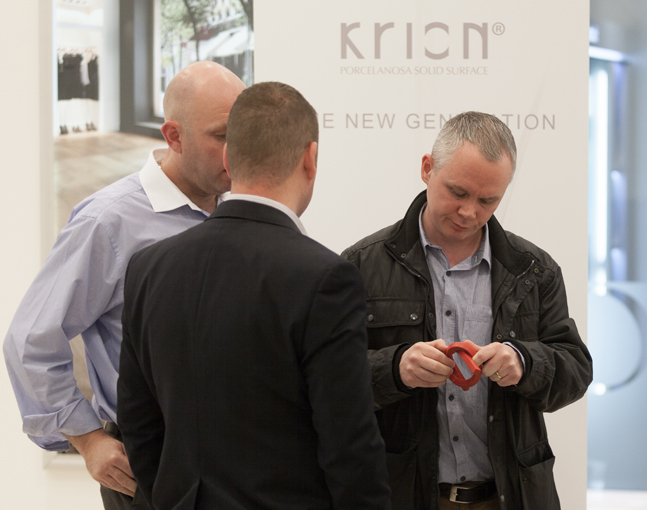 Among other matters addressed in the conference, attendees were informed about the advantages of Krion® in comparison to other similar materials, and outstanding projects completed using this compact material such as the Institut d’Optique d’Aquitaine en Bordeaux (France), the Hotel Radisson Blu Mall of America (USA), and the new Ambroise Paré hospital in Marseilles (France). They also enjoyed a demonstration of the thermo-forming process using a small oven; this process is used to achieve curves and join-free finishes that would be impossible with other types of material. 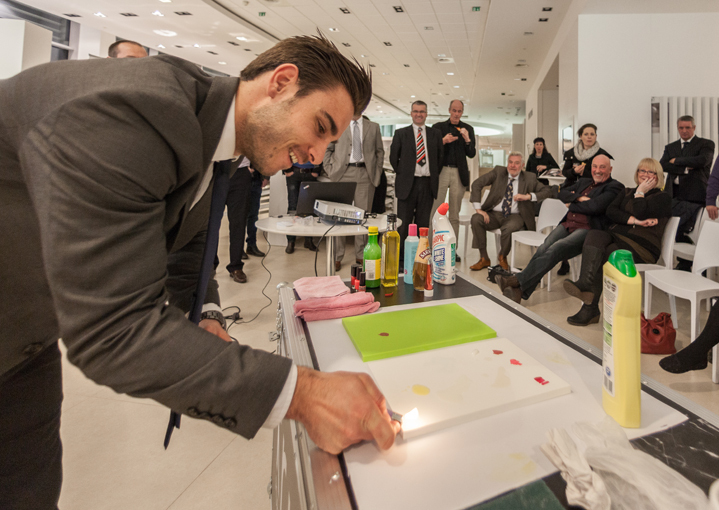 Attendees were also shown how the solid surface by PORCELANOSA Group is easy to clean and resistant to chemical agents. 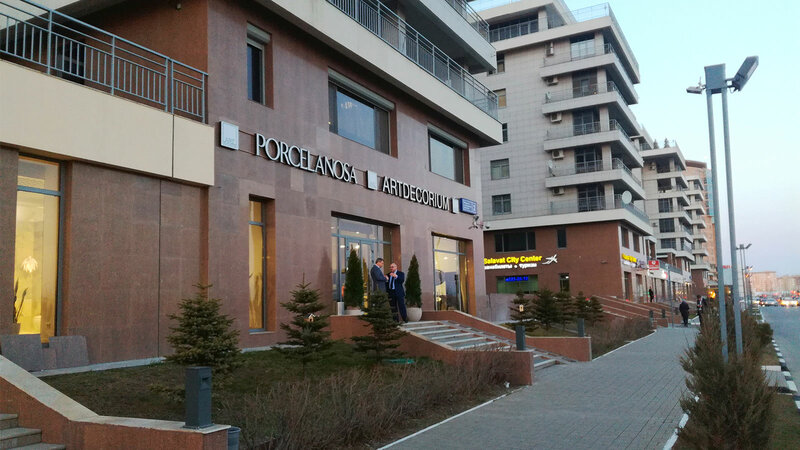 Finally, the professionals were given information about the commercial network and collaboration with manufacturers around the world through the Affinity Club. 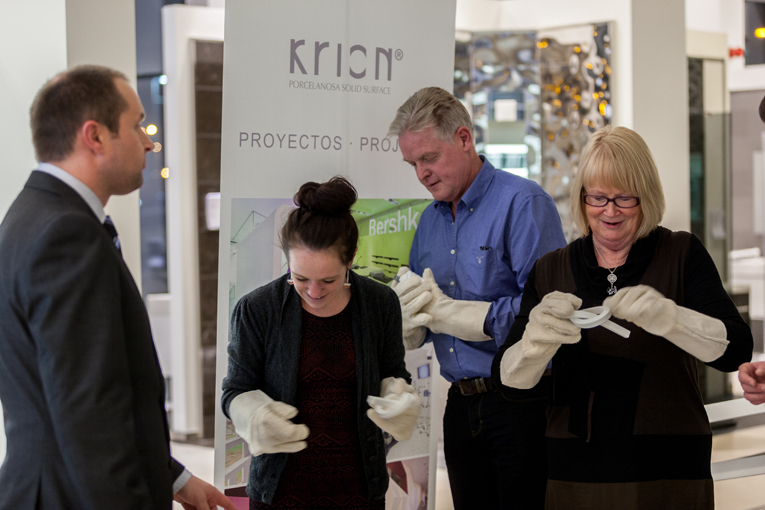 They were also provided with extra materials containing further information about Krion® and the multiple ways in which it can be used.